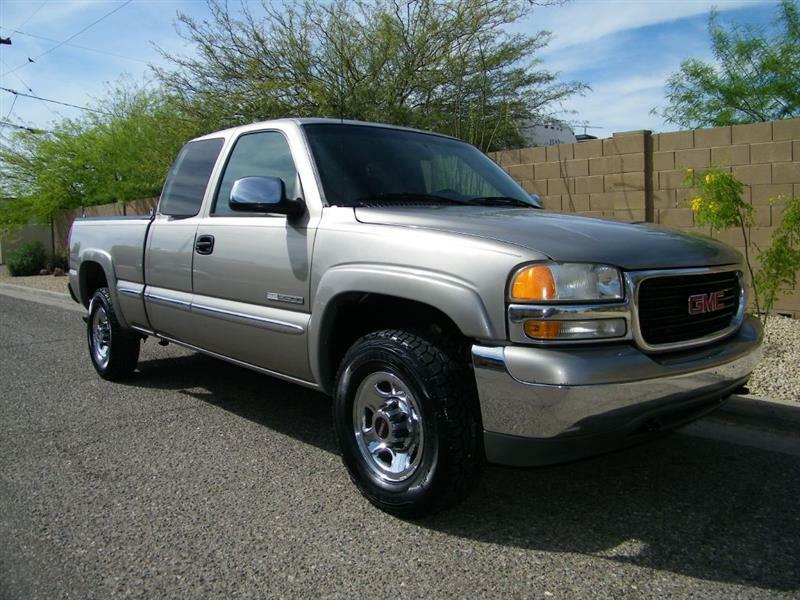 CARFAX CERTIFIED - DRIVEN ONLY 7,900 MILES PER YEAR - RUST FREE ARIZONA 4X4 - PRISTINE CONDITION! 6.0 liter V8. Driven only 7,900 miles per year. RUST FREE Arizona 4x4! SUPER CLEAN! Awesome truck! Great tires, ice cold A/C, no leaks and everything works! Runs and drives PERFECT! Clean and clear Arizona title. No accidents. Never damaged. Never smoked in. You can buy with confidence because my Sierra 2500HD is Carfax certified and comes with a Carfax buy back guarantee and a LOW PRICE GUARANTEE! The ORIGINAL Pewter Metallic colored exterior is absolutely FLAWLESS, there no dents or scrapes, NOT EVEN A DOOR DING! The Gray cloth interior is also in FLAWLESS condition, there are no rips, tears, burn holes, stains or wear marks! Sounds too good to be true? Must see to appreciate the STUNNING original condition! Guaranteed no disappointments. I just had my Truck professionally serviced and had a 125 point Certified Pre owned buyer inspection performed in my on site ASE certified service department, NEEDS NOTHING! If you are looking for a fixer upper than this is NOT the 4x4 for you. To view additional pictures and to get a FREE copy of the Carfax report please visit my website at AutoParadiseAZ.com or call 623-516-8888 or text 602-446-3851. I offer a BEST PRICE GUARANTEE; I will meet or beat any competitor's price. I can help you with credit union financing if your credit score is around a 650 or higher. All vehicles are shown BY APPOINTMENT, please call 623-516-8888 or Text 602-446-3851. Message: Thought you might be interested in this 2001 GMC Sierra 2500.